and Open and Play Big Spring from Trademe user L Word. G1 Sideswipe very nice , haven't cleaned them yet . Used G1 but that's how I like them . It's all about the nostalgia for me. I'll get more picky once I have them all and start going MIB not really interested in the MISB cause of the cost. G1 Tracks , very stiff joints and the tyres I think will have to replace in the near future. G1 Ultra Magnus all accessories are present but not in the shot. Love the legends stuff myself and prolly gonna ditch chug in favour of going all in. It's definitely the worst one I've got yet. All the rest were DX9 knock offs where this one is original. If Big Spring was 10/10(unfair comparison) and Overlord is 8/10 (so much parts forming) Springer is a 5/10. Car mode is rubbish and Helicopter mode is okish, robot mode is fine. I wouldn't by it again, It's the first let down I've had from this company. 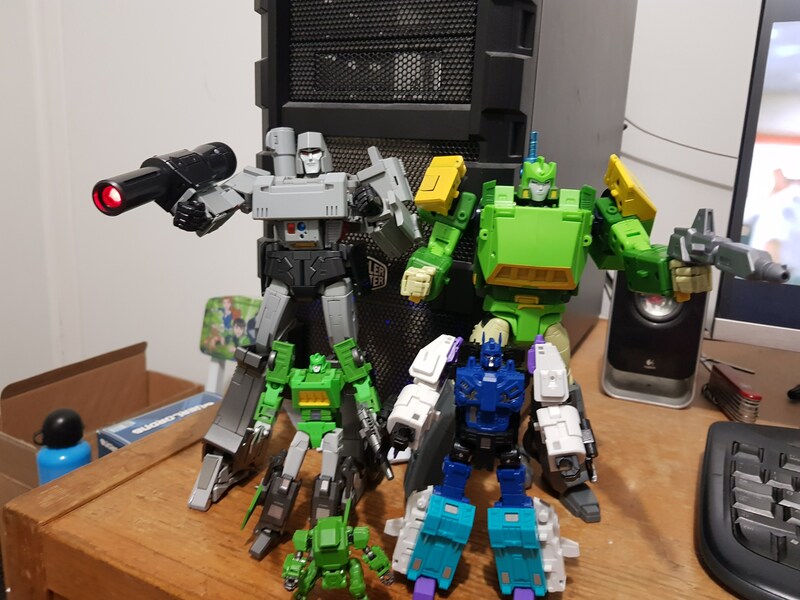 Shockwave is out now with my supplier (HZJ401 on Ebay) and I'm gonna wait on reviews based on how bad this Springer is. Damn, I really liked the look of him in bot mode. I rate their previous offerings a lot, even though they are KOs,so it’s disappointing to know as their first in house one isn’t as good as their KOs. As an aside their KO dx9 dinobots are great, need some loosening of joints etc but are fantastic nonetheless. 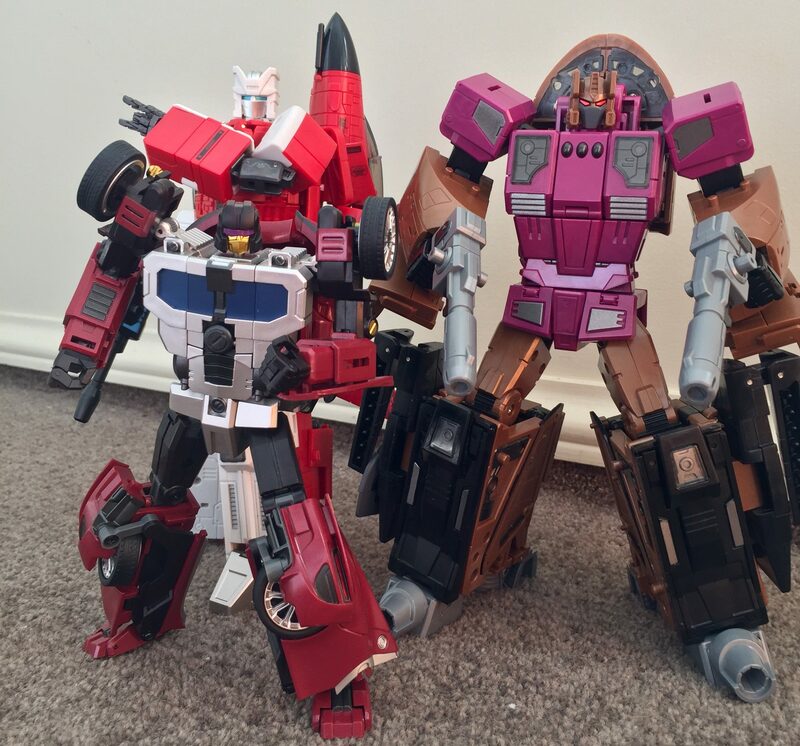 Generation toy leader Te aka legends Optimus and Megatron, on special from showz. Wanted these for a while and by luck saw them on special a couple weeks back. Great toys, however they are fairly light, making me glad I didn’t pay retail as they certainly aren’t worth the $100 or more the6 ere originally going for. Got a Nintendo Switch with Mario kart 8 and Mario Odyssey yesterday. Gotta love winning work promotions without even trying then getting half a grand in prezzy cards. I hate you for sharing that. Are they the reissue ? None of the Aerialbots look yellow which is amazing! I got the true final piece of Combiner wars Menasor today in Wild Rider (Break Neck) . I'm still using the official hands and feet but I've the perfect effects head and shoulders on him. Has anyone got a spare set of the purple PE hands and feet ? Not reissue , it's just the way the photo was taken outside . I have my phone camera on this portrait style thingee. It auto corrects flaws , yellowing is very faint. Here's a few close ups , not very white now in natural light.